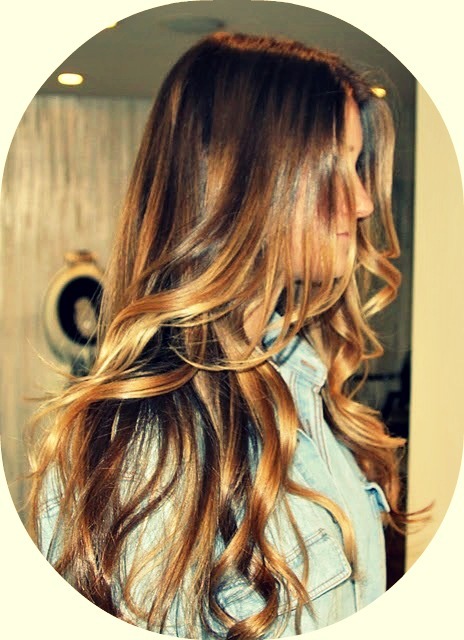 I don’t know about you but when I see beautiful long hair like this, I ask myself ‘How come my hair won’t grow that long?’ or ‘How can I make my hair grow faster?’ well everyones hair is different but there are some tricks you can try that may help! Massage your scalp: Massaging your scalp can increase your hair growth by stimulating blood flow to the scalp. Commit yourself to a 1-2 minute massage before shampooing — every time you wash you hair! Eat a healthy diet: Eating healthy foods will increase your hair growth! Protein and healthy fats are essential for hair growth, so make sure your meals contain a balanced amount of these! Also be sure you are consuming enough iron and zinc, as a deficiency in these vitamins has been known to cause hair loss. Take biotin: So I have started taking biotin this last year to grow my hair out for my wedding, and I can honestly say it has made a difference! It’s a B-complex vitamin that offers benefits such a stimulating rapid hair, nail growth, and aiding metabolism! Trim your hair: Last but not least…you should get your hair trimmed at least every few months. Many people ask how could trimming the bottom of your hair affect growth from the root? And how will it grow when I just cut it back to where it was?! “Think of a split end as a run in a stocking,” Once that run starts, it’s going to continue all the way up the stocking—and that’s the same thing that happens to your hair. The split travels all the way up the strand, causing it to become weak and break off. So it’s not that getting a trim helps your hair to grow faster — it’s that it prevents breakage from occurring at the ends of your strands, allowing you to more quickly reach your desired hair length! Otherwise your hair will just continue to break off and you will be at a standstill. Trimming your hair keeps the ends from looking stringy & makes your locks appear fuller.